Scooters have long been popular in Asia and Europe for their efficiency and ease of use. In the United States the scooters have been thought of as fashion accessories or liquor-cycles. This has evolved in the last decade with a major change in American attitudes towards scooters. High gas prices and a wider range of model types have elevated the scooter in American eyes. Large displacement mega scooters like the Suzuki Burgman 650 have given scooters the power and comfort to be at home on American interstates and high speed highways. 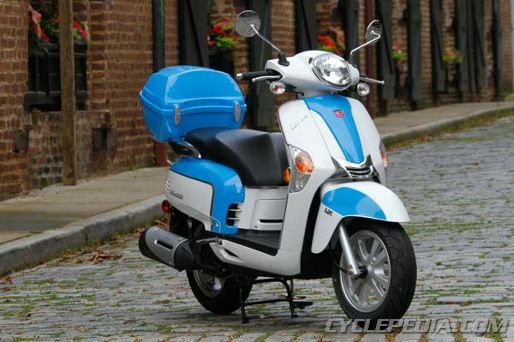 Small displacement scooters are more efficient that ever with MPG ratings reaching into the triple digits. With more and more scooters on the road racking up miles there is a greater need for service work on these machines. Scooters are usually covered up with bodywork. 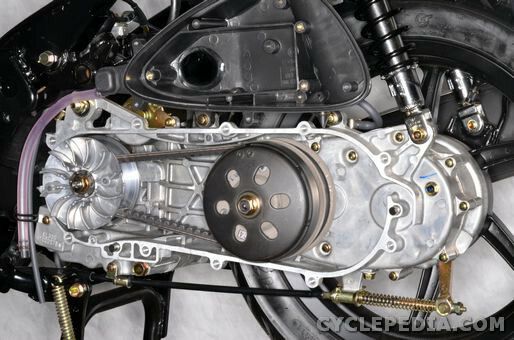 Often there will be built-in maintenance covers for accessing items like carburetors, batteries or spark plugs. Removing the cargo box under the seat often gives great access to the engine from above. 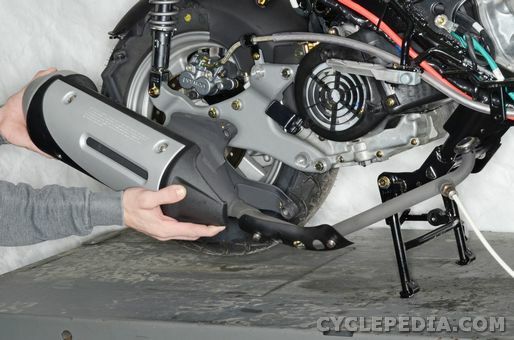 On many scooters the exhaust system must be removed to take off the rear wheel. Have new exhaust gaskets on hand, especially if you work on the same scooters often. Scooters need oil changes, air filter replacements, and valve clearance inspections just like motorcycles, beyond this they also have their own set of specific maintenance needs. The centrifugal clutches wear overtime. The clutch shoe linings and drum inside diameter need to be inspected periodically and anytime the clutch is slipping or failing to disengage. 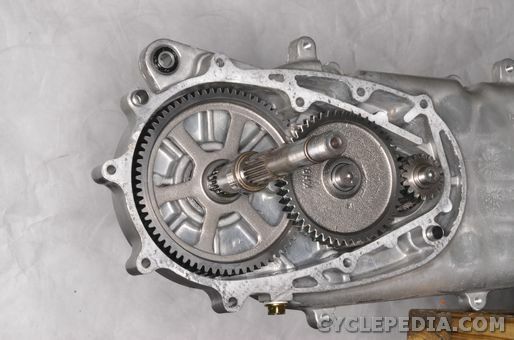 Most scooters us a belt and pulley CVT system for an automatic transmission. The belt condition should be inspected regularly. Often there are specifications for minimum belt width and maximum deflection. Pay particular attention to the direction of the belt rotation. Make sure the pulley faces are clean and smooth. Check for oil, water, and dirt contamination of the belt and pulleys. 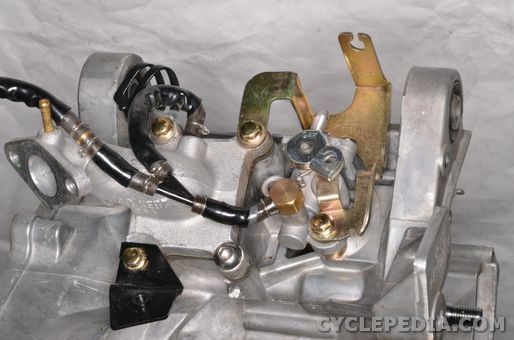 The CVT on the scooter doesn’t directly drive the rear axle. There is a final reduction gear set that transmits the power from the CVT to the rear axle. This gear set must be lubricated with gear oil. This oil should be changed regularly. Hypoid Gear oil is often the specified lubricant for these gear sets. Scooters are some of the last remaining street going vehicles that use 2-stroke engines. 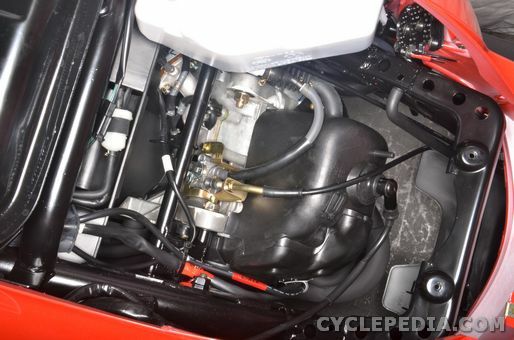 The 2-stroke scooters do not have recirculated engine oil, they use a total loss oil injection system. The oil tank must not be allowed to run dry. If the oil tank runs dry, or if the oil lines are disconnected air can get in the oil injection system and block the flow of oil even if the tank is refilled. The oil lines need to have the air bled out anytime the lines are disconnected or the tank is run dry. Scooters brakes have about as much in common with ATVs as they do motorcycles. Unlike a motorcycle, scooters often have parking brakes that need periodic adjustment. 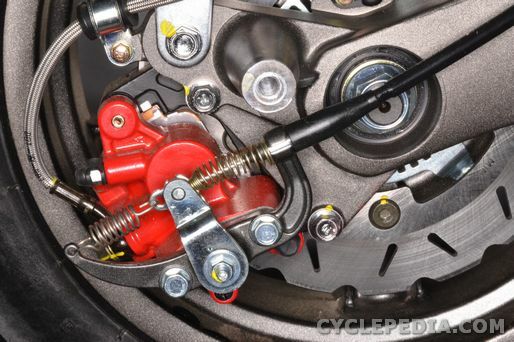 Linked brakes are very common in scooters, and these system can have specific air bleeding instructions. Also, scooters have a brake switch to prevent engine starting if a brake is not applied. If the scooter engine refuses to start this switch should not be overlooked. Consult the service manual for the particular model for brake system inspection and maintenance information.